The unique nature of the resort with the attached outdoor adventure centre, means that we can provide families with a truly unforgettable experience. Coming from a polluted and crowded Shanghai this was pure paradise. Beautiful nature, excellent hospitality, great food and loads of activities that kept our three boys (3, 6 and 8) fully occupied for the entire week. The boys loved the archery, climbing wall, pool, table tennis room and just running around in the gardens. We did boat trips, excursions and two fantastic hikes. After the first hike, the staff put together a special hike based on our abilities (an energetic three year old who walked almost 8 km that day) – fantastic service. We have a lot of experience in traveling with a family but I have to say that this trip, resort and service was extraordinary. Just an example is the basket with toys, books and sport equipment that was put together for our boys when we arrived. It is a pleasure receiving reviews such as this and it is not surprising that we were recently voted as one of the top ten family-friendly resorts in Thailand. How do we cater specially for families? Our family suites are in fact two adjoining superior hotel rooms, but offered at a price about 15% below the cost of two rooms. The children’s room has twin beds with space for an extra bed or a cot. Games, books and sports equipment are also provided. The gardens are expansive and as well as a grass area for playing, the mass of bushes and trees with plenty of hiding places makes it a delight for children to play. In addition, a large field at the outdoor centre is a great place to kick a football or just let off steam. 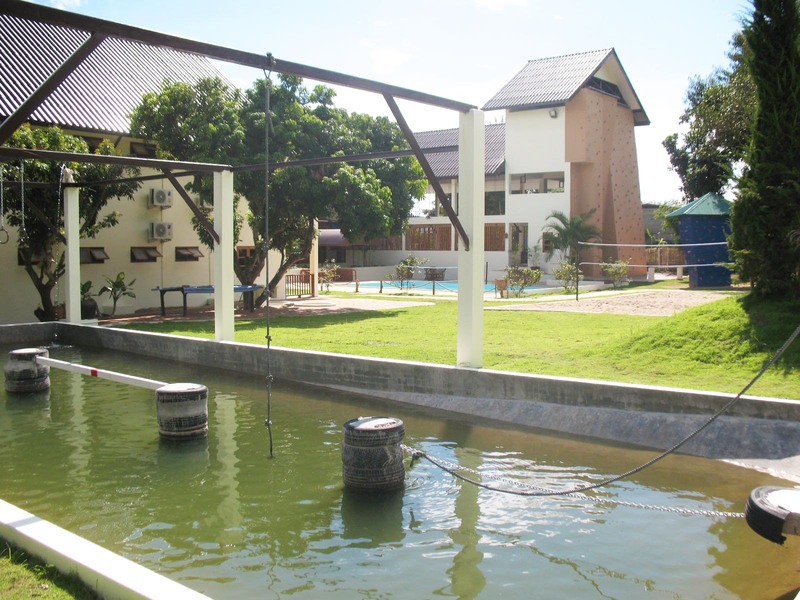 There is also a pool for water volleyball, a beach volleyball court, table tennis and pool / snooker. We offer a wide range of activities on-site such as archery, abseiling, a high ropes and low beams course, and wall climbing. 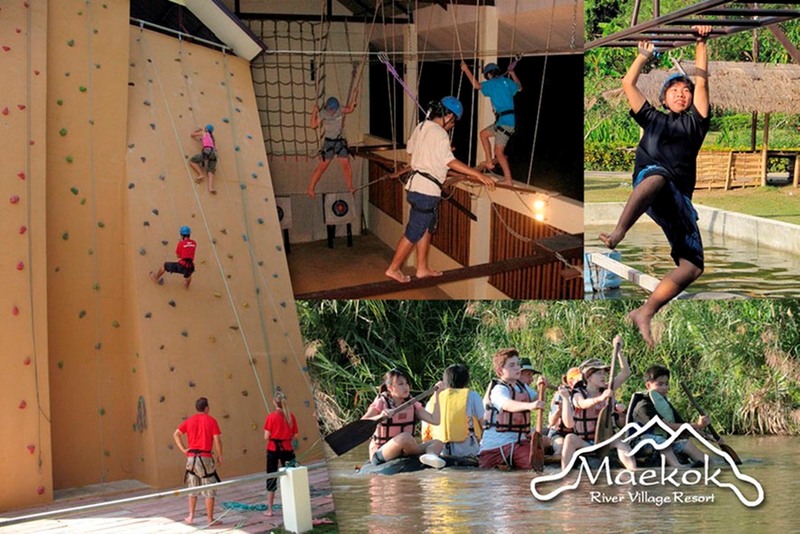 For off-site activities, you can hike (with some easier walks for younger children), bike around the valley, kayak or build your own raft and paddle the Maekok River or just lazily float down on large inner tubes! All these activities (click here) are supervised by experienced and qualified instructors and only the best equipment is used. And if parents wish to explore some of the cultural sites without dragging the kids along, we are happy to provide an alternative programme for the children and to look after them for a half or whole day.